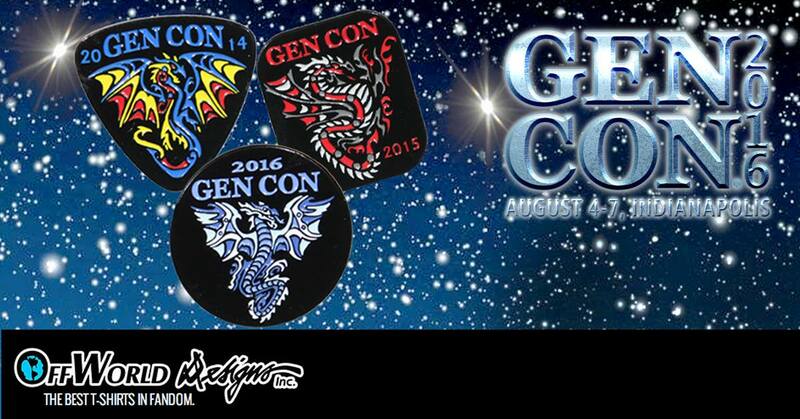 My wife and I started attending Gen Con in 2013 and we are wanting to start collecting the dragon enamel pins but would like to retroactively purchase the pins starting from 2013 to catch up. I see that Offworld is selling 2015-2017 on their site so I was wondering if anyone knew how we can get our hands on 2013 and 2014 pins. I tried to Google them and search on eBay but I didn't have any luck. Anyone have any tips? Hmm, I seem to think last year was the first time they sold them and it was a set of three years. So, if my memory serves (which is no guarantee), you're only missing the one for 2014. Any luck in tracking down a pin? I'm looking for a 2015 pin.